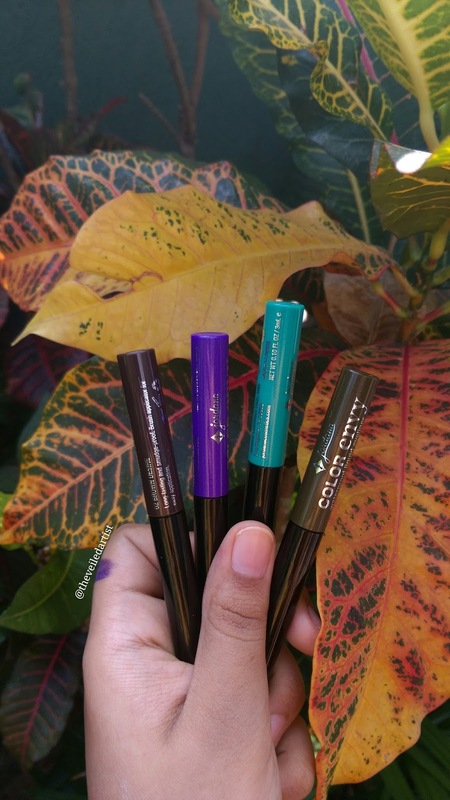 Cry only happy tears when Color Envy Waterproof Liquid Eyeliner stays budge-proof during the wettest weather, the saddest movies and even quick dips in the pool! 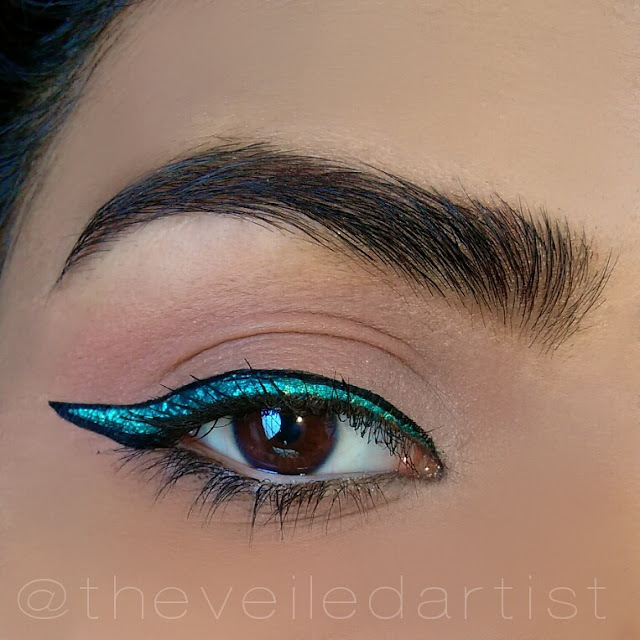 This liner stays right where you put it until you decide it’s time to take it off! I really like the packaging of the liners because you can easily see the colours both on the tube itself and also on the base of it in case you store it standing up in a holder. 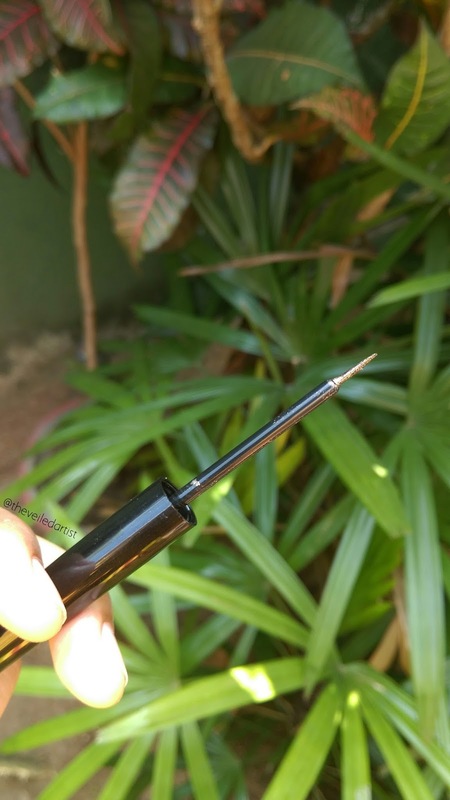 And like Jordana claims, the brush on this liner is amazing, sturdy and slim, making the whole "winged eyeliner struggle" a little less hard. UPDATE: May2nd- it has been around 4 months since I purchased these and I tried using them today and they stung my eyes so much! I have never had a reaction with a product like this before. So no I do not recommend these liners now. You should know that I usually never buy more than one shade of a product until I've tried the formula out. 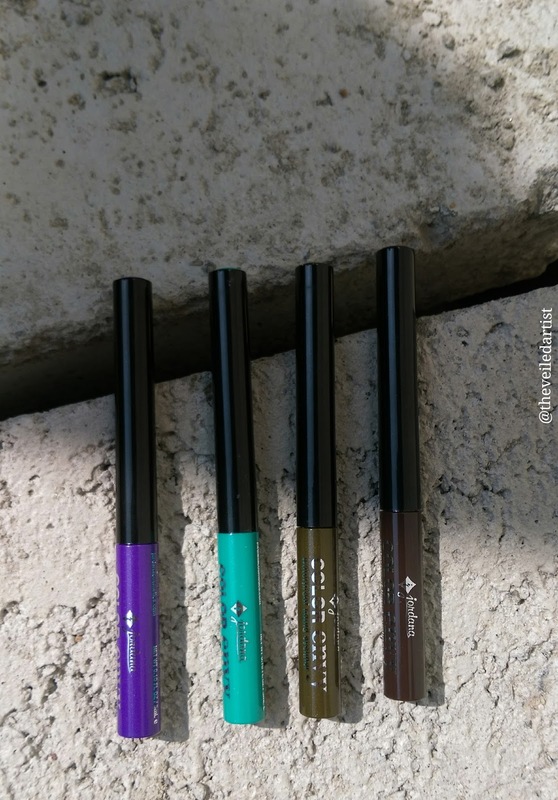 And if I like it or love it, I'll try the other shades in the range but with this eyeliner all the swatches I saw of it looked so amazing that I decided to try four out of the 10 shades available. And I've been putting them to use and gathering my thoughts for a little over a month now. 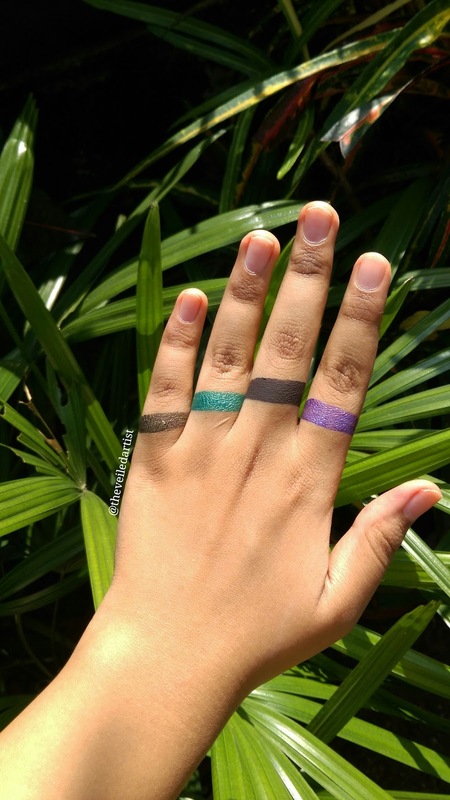 Jordana claims these liners are waterproof so to test this out and see how they hold up against some heavy crying or some rain I kept washing my hand under some low pressure water and the colours didn't dissolve and that's amazing but for some reason I decided to rub them and Oh Lord, most of the Brown desire swatch melted off. So if you decide to buy these liners, they're waterproof and wonderful but don't you dare rub your eyes after that cry! Unless you don't mind rocking the raccoon eyes look! 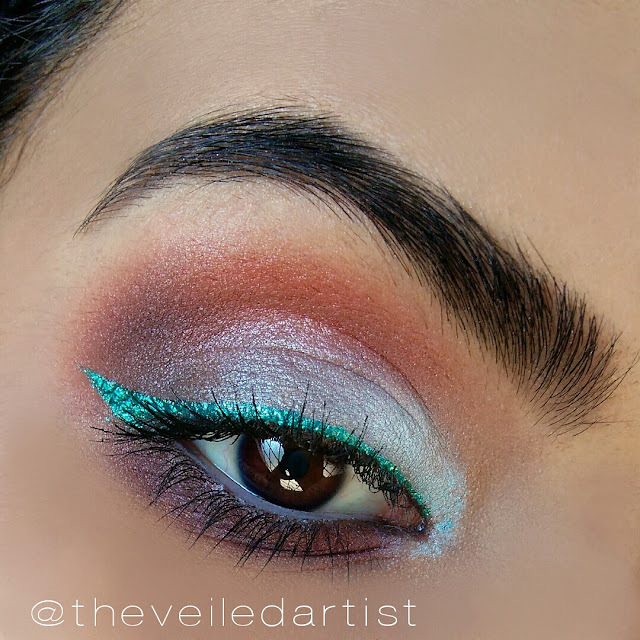 Antique Linger is my favourite coloured liner ever. Those gold specs reflect light so magically. 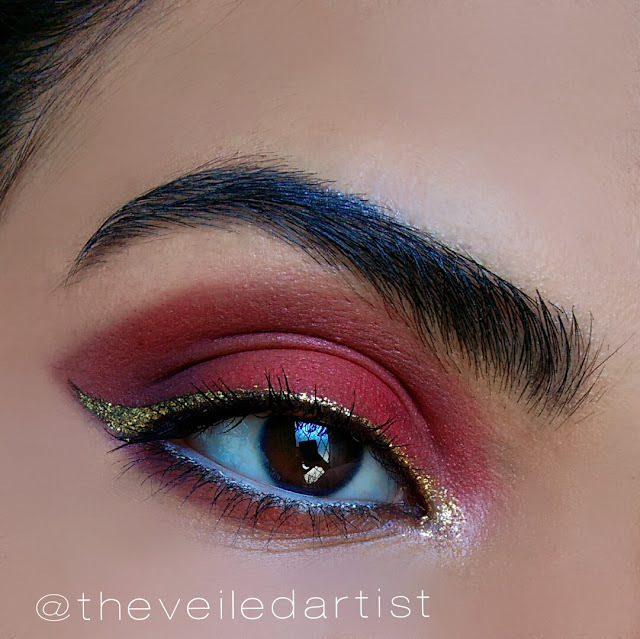 I've used it in both looks below and I've topped it off with the glitter eyeliner in Firefly by lacolours and I am in love. 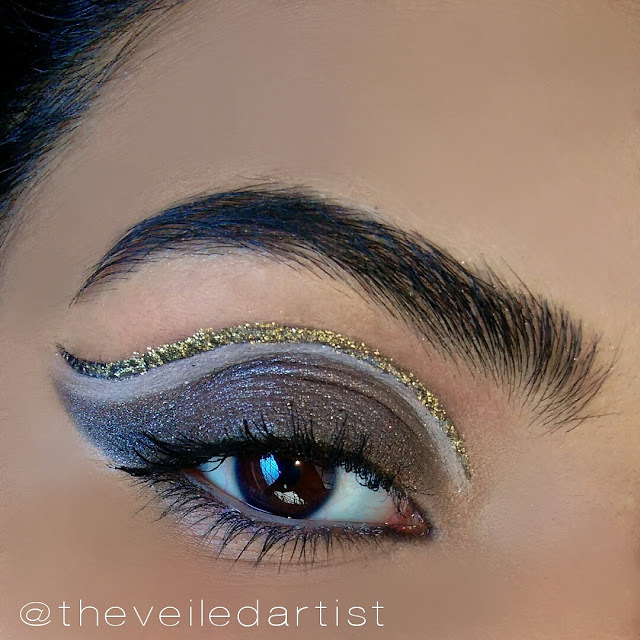 Brown Desire is a basic matte brown. 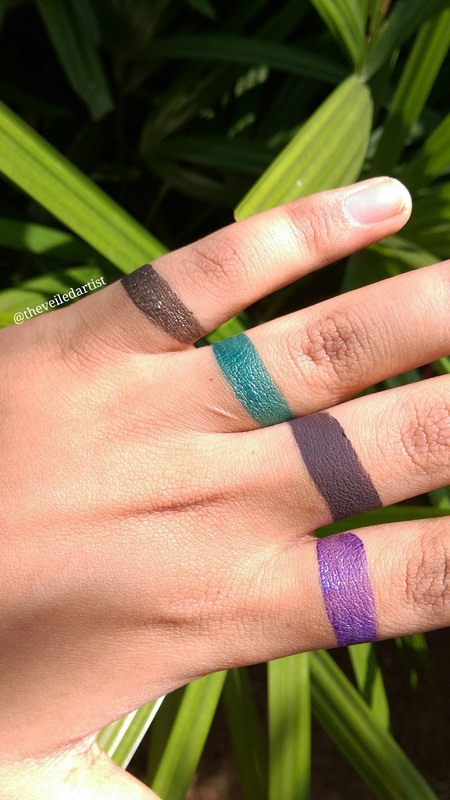 It's perfect for day time wear if you feel like black liquid eyeliner is too harsh. Royal wish was the only liner out of the four that I got that wasn't as pigmented and applied quite streaky. Even in the swatches you see I had to keep reapplying to get the colour up but the shade is stunning. 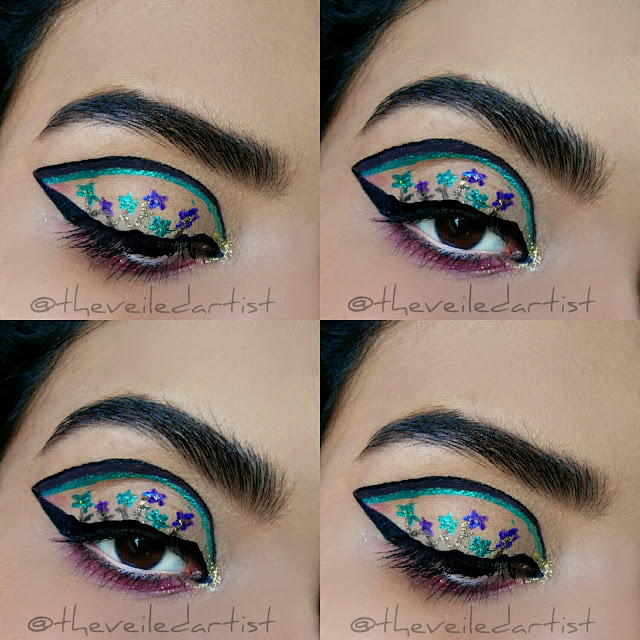 here's a crazy look I did using all of the liners! 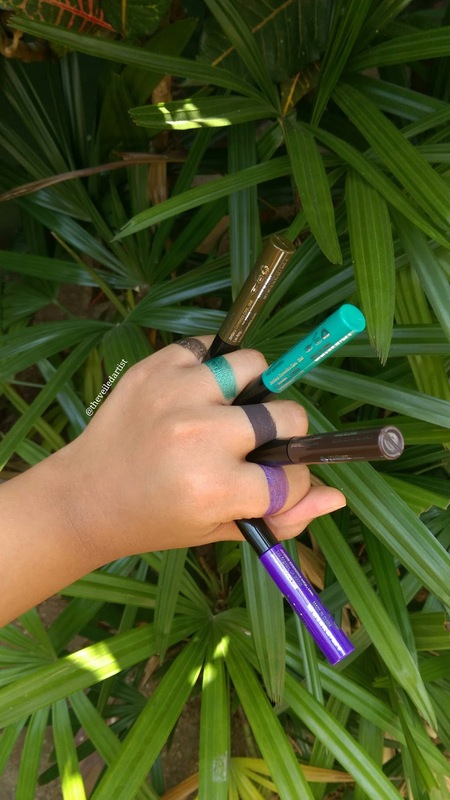 No cons other than 'Brown Desire' wearing off from rubbing and 'Royal Wish' not being as pigmented as the rest of the liners. Would I recommend these liners? Tootally! 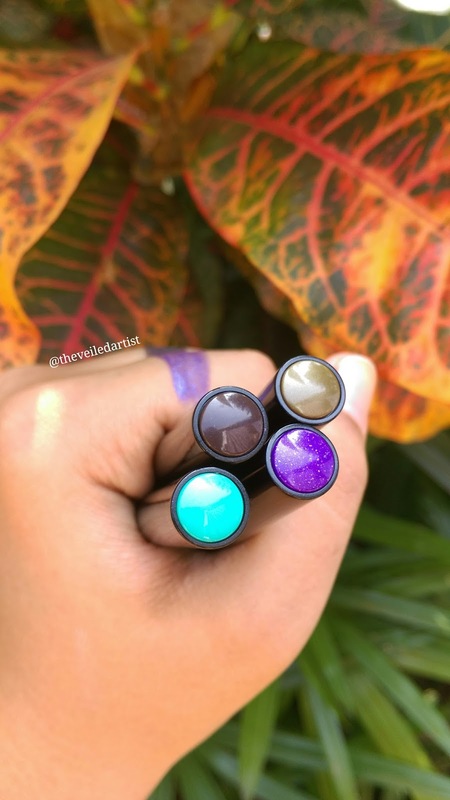 They're so much fun and the brush makes it easier to apply but make sure to dab them teardrops or raindrops off your eyes and not rub!